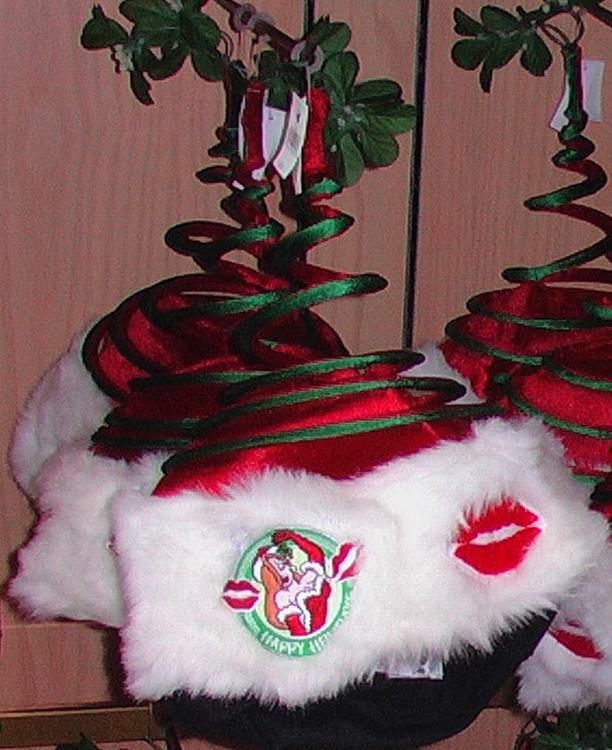 The trim of the hat is the usual white fur, and the top is red. 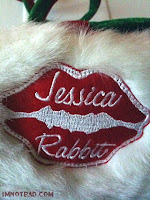 Jessica Rabbit is embroidered on the front of the fur trim, in her "naughty or nice" pose. 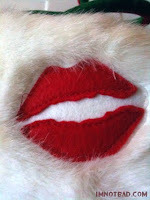 Shes in a white trimmed dress, holding a mistletoe above her head, with lipstick marks on each side. 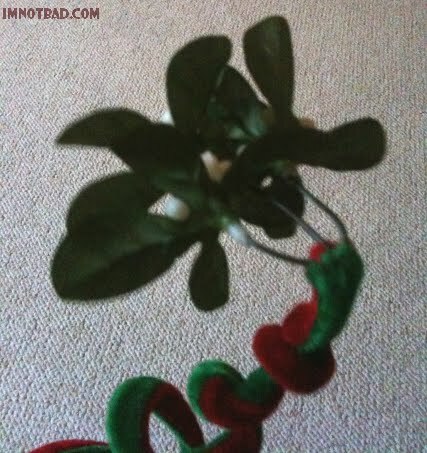 She's in a green and white circle shaped like a ball ornament which says "Happy Holidays" underneath. 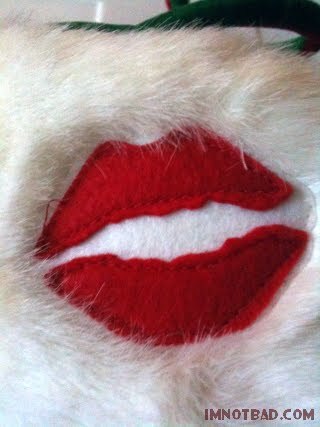 There are also kisses around the fur trim of the hat which are just sewn on, and on the back there is a kiss with "Jessica Rabbit" embroidered in white script over the red felt. 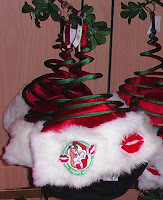 There is a wire spiral on top of the hat with red and green material over it - wich is topped off with a plastic mistletoe - good for always assuring you get that holidays kiss! I have worn this, and I can say that I don't think I have ever looked sillier in my life. This is definitely a novelty for a crazy holiday party, but I suspect will find it's way on the list of rare Jessica Rabbit collectibles over time. 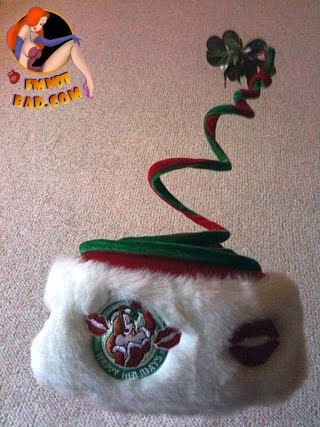 However, you can still find this on eBay from time to time. This gets a 3. 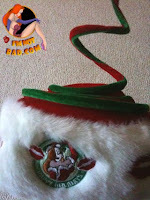 It's a fun hat, but does not have much use outside holiday time - even so, the big spiral top will have you looking a bit Goofy!